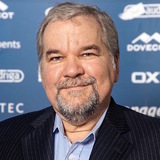 Phil Zimmermann is the creator of Pretty Good Privacy, an email encryption software package that became the most widely used email encryption software in the world. Before founding PGP Inc, Zimmermann was a software engineer with more than 20 years of experience, specializing in cryptography and data security, data communications, and real-time embedded systems. He currently teaches crypto at Delft University of Technology's Faculty of Electrical Engineering, Mathematics and Computer Science, in the Netherlands.